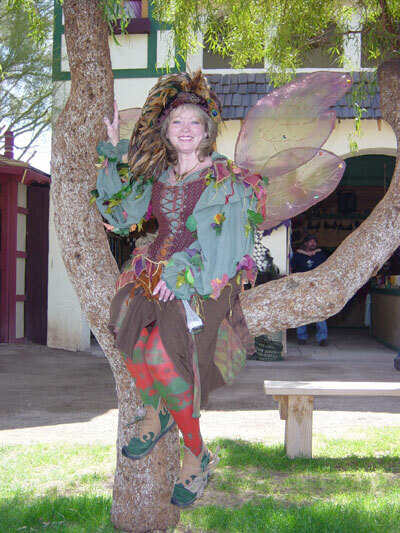 Here is a picture of "Sparkle," the one and only tree fairy here at the AZ Renaissance Festival, wearing the magnificent tights that you made. They are absolutely perfect in every way, and I appreciate your excellent customer service. Thank you! Email Us photos of your fun way of wearing We Love Colors clothing.